The police's initial investigation indicated that three explosive devises had been remotely detonated, setting off the successive blasts, according to the Interior Ministry's spokesman Nasrat Rahim. 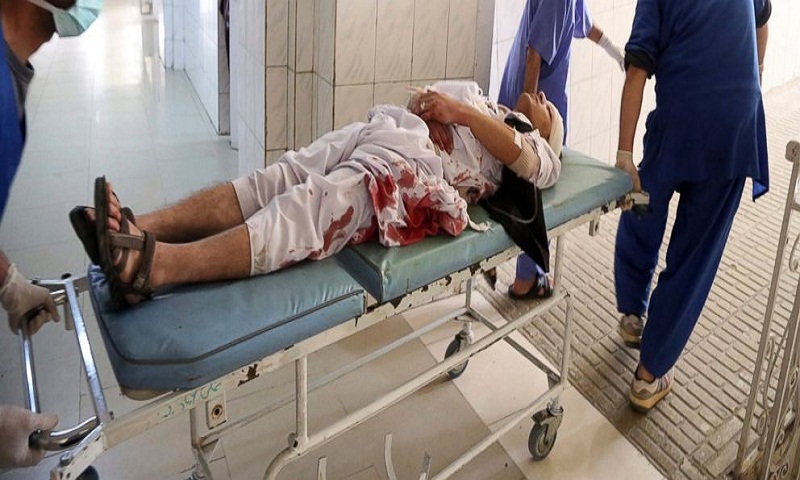 No group immediately claimed responsibility for the bombing but the Islamic State affiliate that has taken root in Afghanistan has targeted the country's minority Shiite Muslims on numerous occasions in the past. The Sunni militant group considers Shiite Muslims heretics. Kabul's Emergency Services director Mohammad Asim said two children were among the wounded in the blasts. The extent of their injuries was not immediately known. Shiite worshippers had gathered at the Karti Sakhi shrine in the Afghan capital's western neighborhood when the blasts took place. The neighborhood is mostly populated by Shiites. The tradition at the shrine is to hoist green flags and honor the dead at the cemetery by placing food at the gravesides.